We have been looking at ways to switch up breakfast around here. I usually go for plain yogurt – whole milk Greek – with half a banana and sprinkled with Grape Nuts, or my other go-to, steel cut oatmeal with banana – no milk or sugar. Victor will go for the other half of the banana with chunky peanut butter and a hard-cooked egg or something similar. Not exactly exciting, but it’s something to stoke the early morning fire before heading off to the gym or whatever else needs doing in the morning. I make a batch of oatmeal in advance, and we cook off eggs in advance, as well. Having good food readily available keeps us from looking for the instant-gratification crap food. Today, Victor caught a cooking show that was making individual frittatas! Moments after the show ended, he was in the kitchen! We’ve made things like this in the past, but always to eat right away. It took seeing them on a TV show to realize they could sit in the ‘fridge awaiting our morning nutritional needs! And, like any frittata, they were easy to put together and are limited only by your imagination and items in your ‘fridge or pantry. His recipe made exactly 12. Preheat over to 375°F. 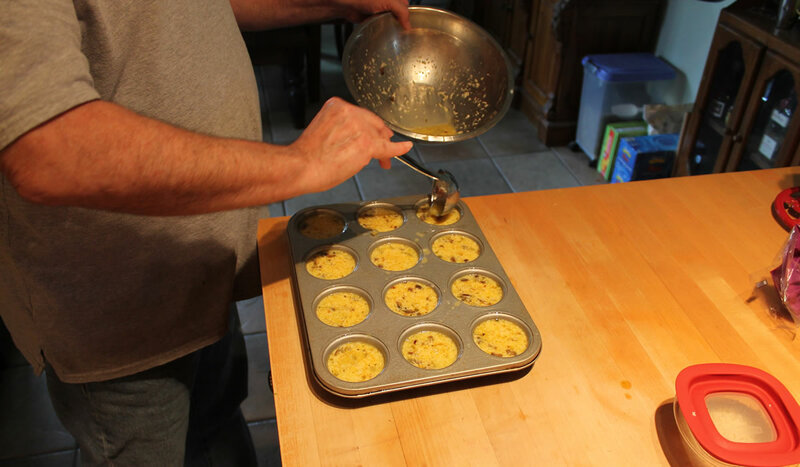 Spray a 12-cup muffin tin with food release spray. Sauté fennel and mushrooms. When nearly done, add tomatoes and green onions. Cool. Mix eggs with milk. Stir in cooled vegetable mix and grated cheese. Add S&P to taste. 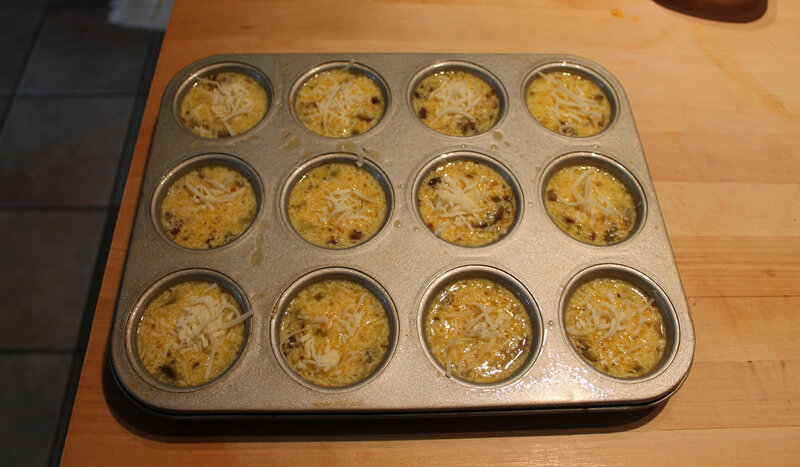 Portion into prepared muffin tin and sprinkle with shredded cheese. Bake for 10 minutes, cool, and remove from tin. They puffed up beautifully, and then fell as they cooled. They’re now in a lovely container awaiting breakfast tomorrow morning!